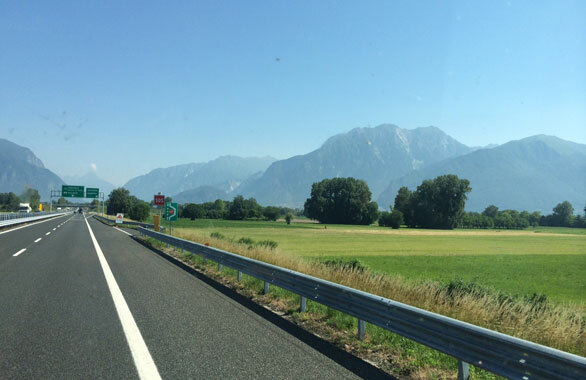 It was a two day trip with Italian truck drivers through the Alps and then Germany. I was astounded by the amount of alternative energy being used in Germany – every 3rd rural farmhouse had solar roof panels. We had no more than 15 common words to communicate amongst us. My Italian is limited to restaurant menu related words. At least they had more useful communication basics like “bathroom break?”.